Equestrian Western Australia is proud to align with local WA feed company Milne Feeds as program partners for the Equine Education Series. 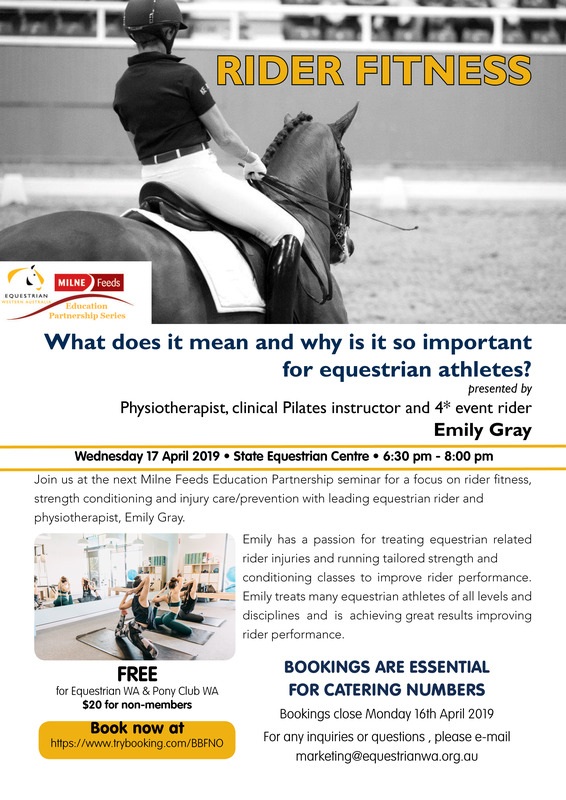 The aim of the Education Series is to provide access to advice and information for all equestrian enthusiasts while adding value to the EWA membership. Seminars are run throughout the year on equine nutrition, health, breeding, behaviour, welfare, management, safety and more. Seminars are offered to EWA members free of charge, while non-members are welcome to attend for a small fee. Don't forget to visit pegasus.equinews.com for interesting articles on equine nutrition and health from industry professionals.